If you love listening to music, you deserve to hear your favorite songs through headphones with 40mm neodymium speakers. The sound quality on the Culture Audio V1 ANC Bluetooth Headphones will blow your ears away. Every note is crisp and beautiful. Meanwhile, you can drown out the rest of the world with the 98% active noise-cancellation technology! Engineered with the latest sound technology, these headphones allow you to enjoy music the way it’s meant to be heard. The quality of music playback is limited by the quality of your headphones. If you’re using dollar store earbuds, music will sound entirely different than when you’re using the Culture Audio V1 ANC Bluetooth Headphones. Engineered with the latest sound technology, these headphones allow you to enjoy music the way it’s meant to be heard. 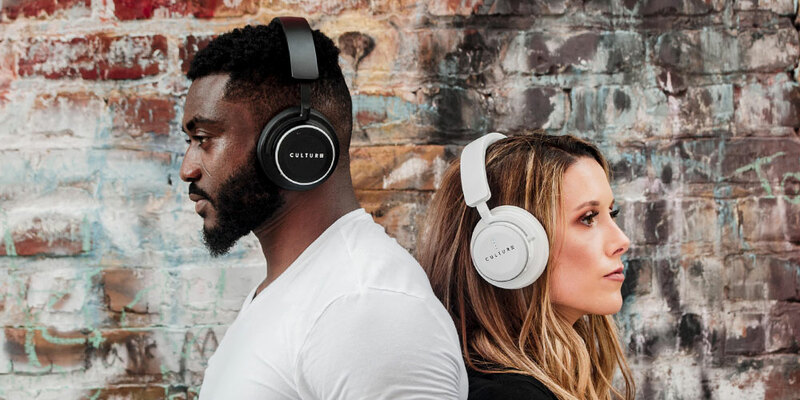 Each Culture Audio V1 ANC Bluetooth Headphones features AptX and AAC low latency tech to eliminate audio lag while wirelessly watching TV or playing video games. Plus, the integrated smart sensor works to automatically pause music when you remove the headphones. Be sure to get your own Culture Audio V1 ANC Bluetooth Headphones while the sale is still going on. Originally, they were 32% off the retail price, but you can take an additional 15% off by using code SEMIANNUAL. That brings your total down to just $114.75.